Automatic pass-through fall protection for multiple workers. Do-it-yourself installation with patented stainless steel components that are easy-to-use and require minimal maintenance. For use along crane rail runways, loading, bays/docks, machinery, conveyor, rooftops, inside sports arenas, pipe racks, bridges and many industrial application. Stainless steel system Kits designed for up to 2 works (up to 4 workers with a second Xenon shock absorber). 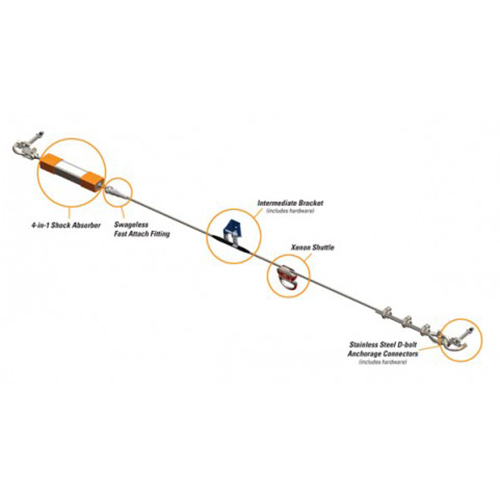 Kit includes stainless steel 5/16″ wire rope, Xenon 4-in-1 shock absorber, intermediate bracket, (2) stainless steel D-bolt anchorage connectors (rated up to 10,000 lbs. 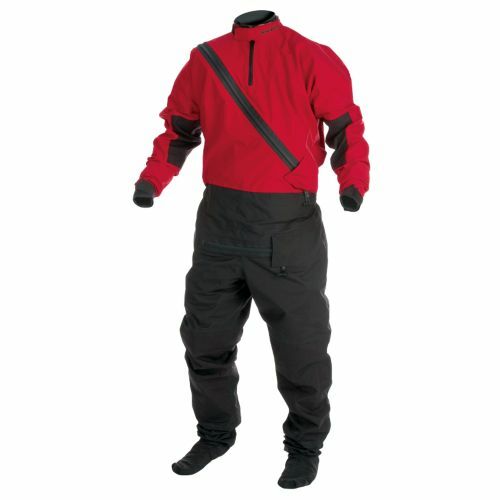 ), swageless fast-attach fitting, anchor shackle, thimble, cable clips, hardware and instruction manual. Xenon shuttle sold separately. 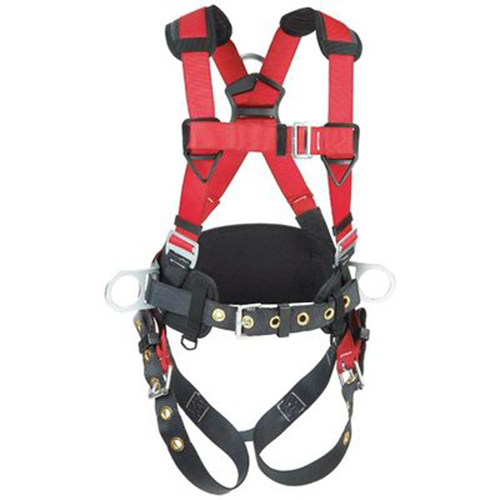 Meets all application global standards for Safety at Height. Xenon shuttle self-aligns for smooth pass-through of intermediate brackets. Double-locking mechanism ensures security; allows for easy, one-hand operation. No moving pass-through parts. 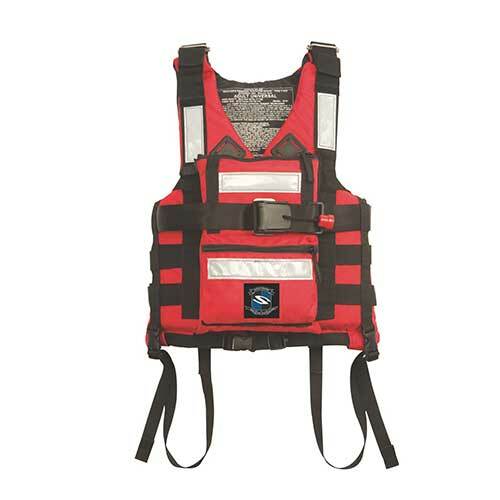 Ideal for dusty, gritty or salty environments.